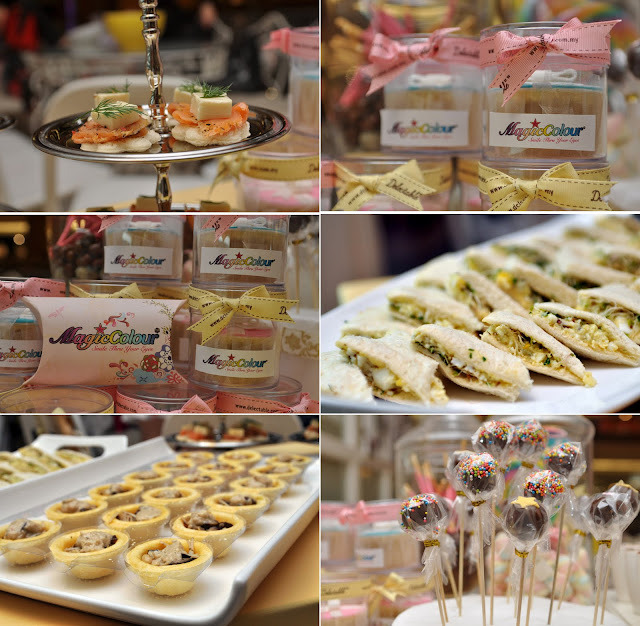 Plus Size Kitten: Magic Colour Blogger's Review Party! Leen approached me to organized a pretty party for beauty bloggers (or bloggers who loves colour contact lenses). A few name pop out my mind! and bam, we got ourselves a group of 10 bloggers ready to rock and roll! The venue? 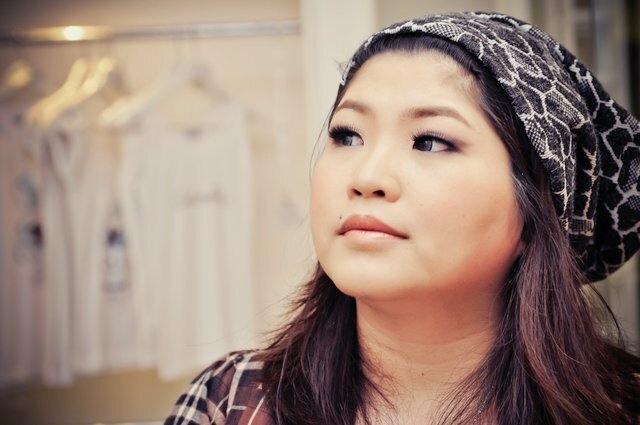 a pretty lil place that I suggested to Leen - Delectable by Su's at Garden's Mid Valley. Delectable by Su is a artisan patisserie that offers cakes, desserts, cookies and cupcakes! 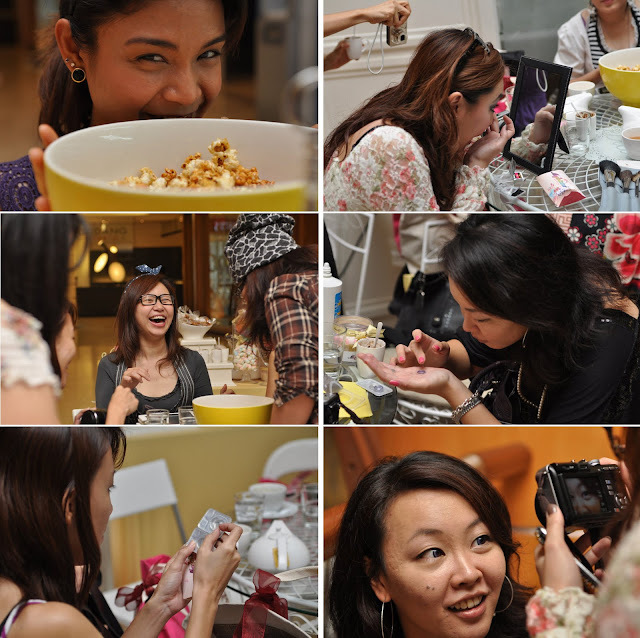 The girls went wild at Delectable, a table of goodies were set up and pot of teas were served. We had bowls and bowls of yummy popcorn too! You'd think this is a food tasting session right? the pretty spread of savoury food, desserts and TWG tea! This was Monday (the replacement holiday for Labour Day) unfortunately you can see my before photo I was really tired and exhausted. I worked on Labour Day can you believe it? and actually I was working on this day as well because of a work emergency. Thankfully the transformation of make up and the use of pretty pattern colour contact lenses made me look so alive and pretty now! 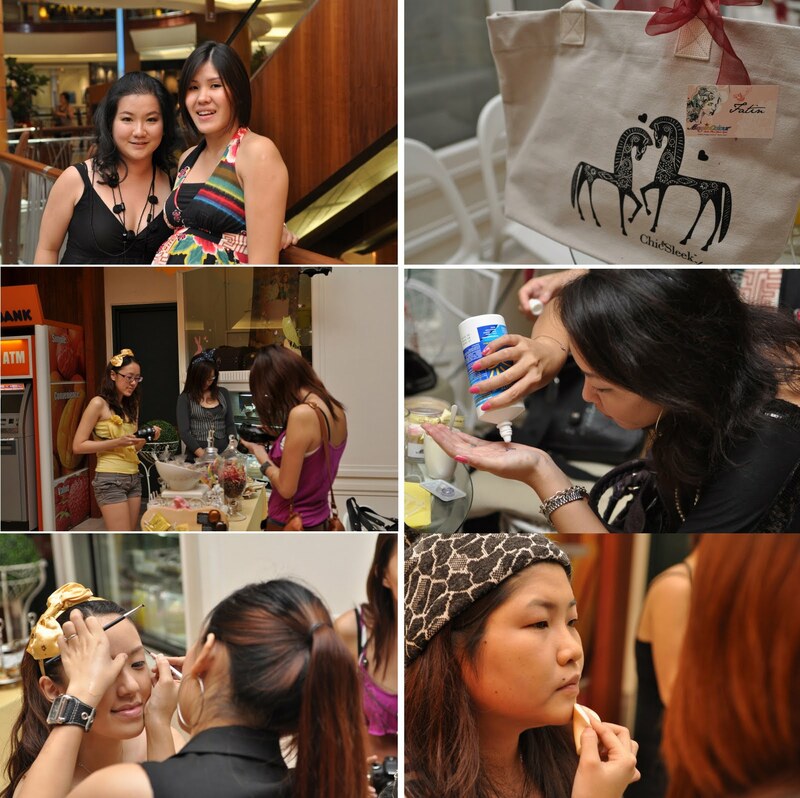 Check out how the other pretty ladies that day look after their makeovers too! Their eyes are big and gorgeous! (ps they're wearing different colours n types, but I don't know which one! hehe). 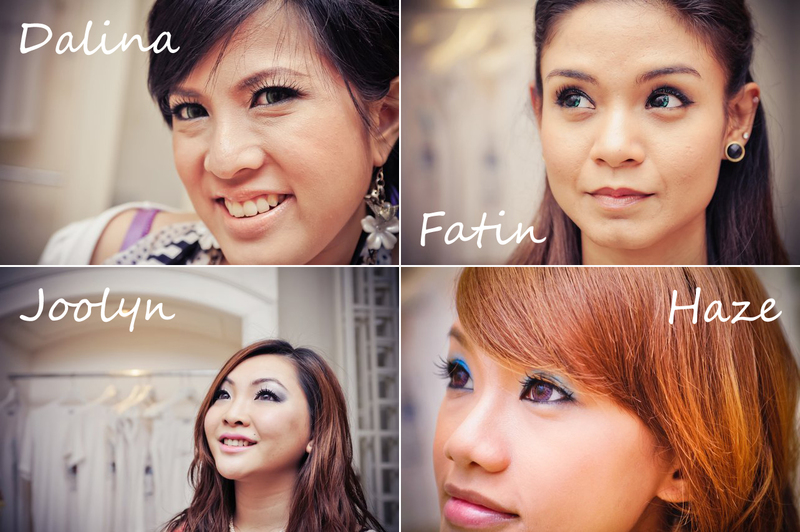 Are you impressed yet with the magical powers of colour & design contact lenses? They're affordable and fun. 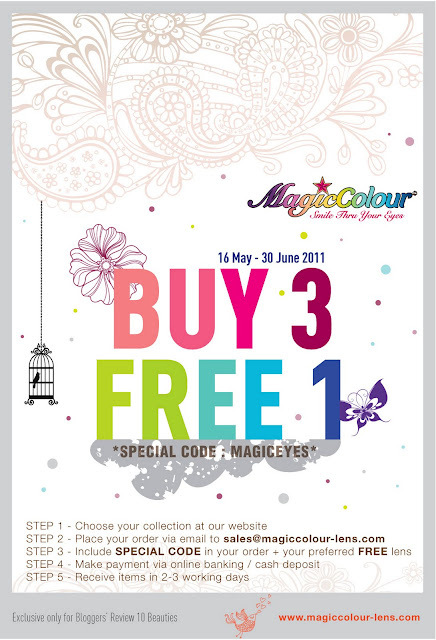 There's a lot of colors and designs to choose from Magic Colour's website from Blushy collection to Diamond Collection. Click here to see them! promotion for readers- buy 3 free 1! MagicColour is the leading distributor of Korea contact lenses, offering wide palettes of tri-colour contact lenses collection design to end users. We provide only the best quality and trendy contact lenses, using the Diamond Cutting technology. With our factory in Korea that uses the new Diamond Cutting technology, we guarantee that our products are on maximum accuracy and exceptionally fine quality surface. Every steps & process are handled with care from our experienced cutter that results in high quality and more durable lens. Our contact lenses have the highest water content of 55%. Wearers will be having longer moisture with our lenses, compared to others that has only 35% water content. Our lenses are with 16.0mm diameter, one of the largest size available in the market. Choose from our 11 collections to suit your daily lifestyle! Smile thru your eyes…with MagicColour! I want those contact lenses of Michelle, the color & the design drove me crazy for loving them this much.